The Titan H2 is a simple and effective haze machine with powerful heater core and easy controls with wireless functionality. The unit features an efficient 1200 watt heater core. 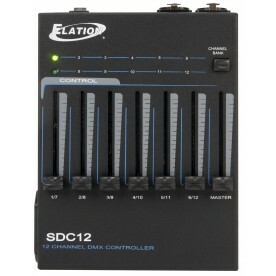 It also includes DMX capability and a hanging bracket. A backlit segmented LED display lets you manage the controls as well as simple fan and volume knobs. Fan and Haze control can also be operated via the included wireless remote. 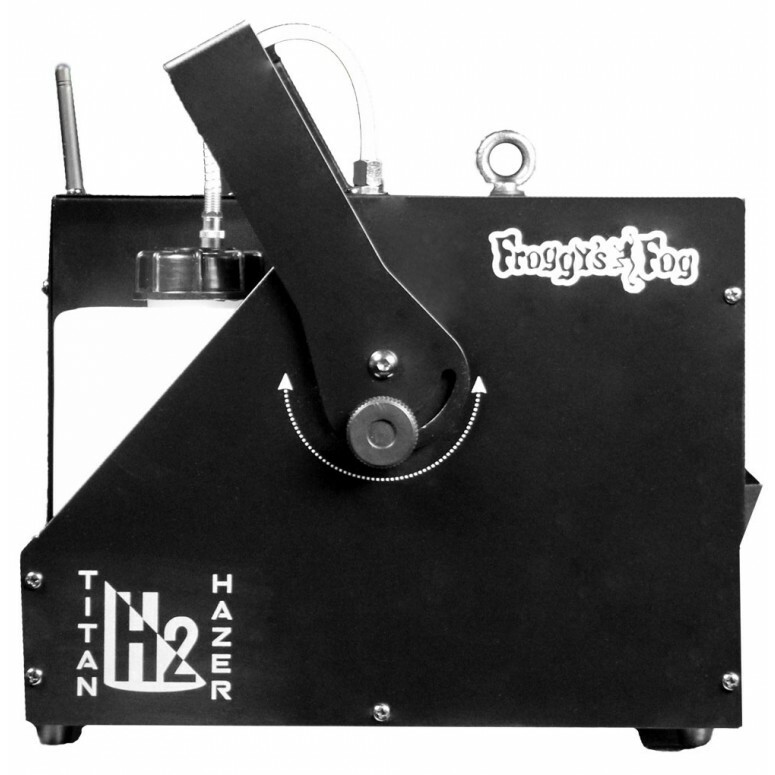 The Titan H2 is one of the most advanced haze machines on the market. 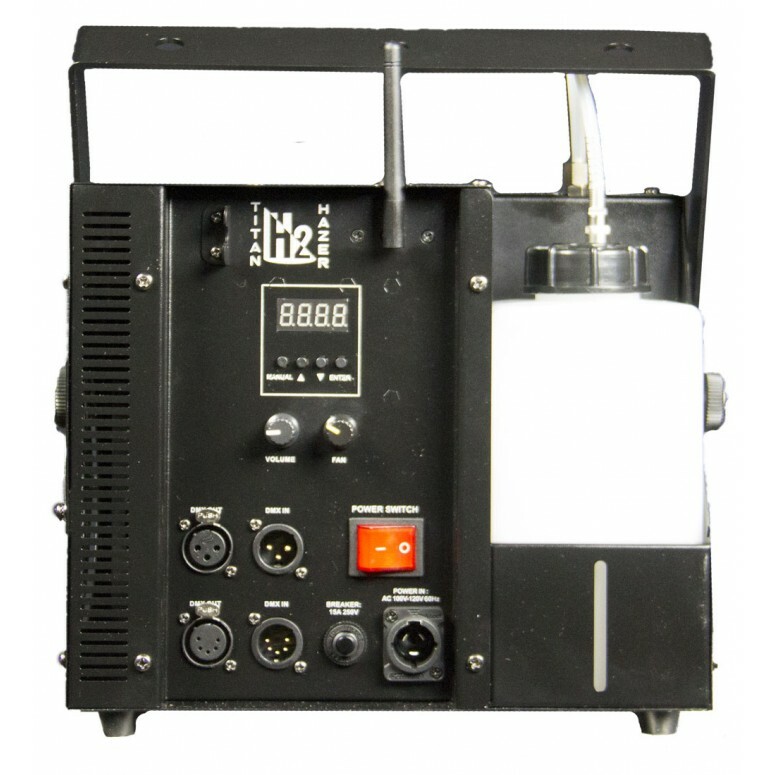 Covering over 4000 cubic feet per minute the H2 is perfect for any small, medium club or stage production. 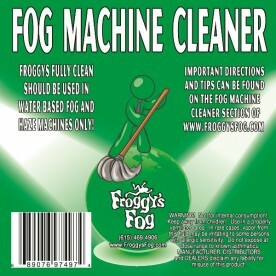 The continuous production ensures even coverage and the right amount of haze when you need it. 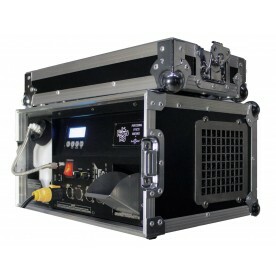 The unit features an efficient 1150 watt heater core as well as DMX capability and can be truss mounted. It's a durable and super quiet version developed particularly for high-end bars, professional installations, and small performances. 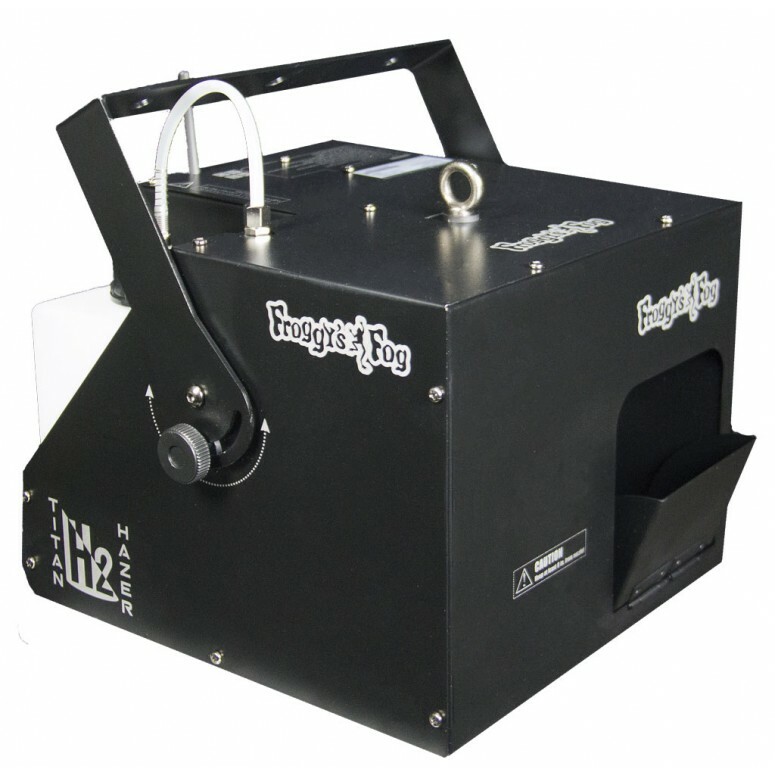 It features a range of upgrades to ensure it remains the top haze machine in its class. An improved and new fast heater ensures all fluid is vaporized quickly as well as shorter heat-up time, less than 50 seconds. Direct haze in any direction with the adjustable scoop. The 1150 watt heater core is Stainless Steel instead of the industry standard aluminum. The stainless steel prevents pitting and clogging. The new heating system with only 50 seconds heat-up time you won't have to worry about plugging in and turning your machine on 10 minutes before the show. Get up an running in under a minute! The H2 has built-in fluid sensing technology that can detect if there is low or no fluid in your machine and automatically turn it off. This prevents your heater core from burning up and removes one of the most common problems with lower quality machines. 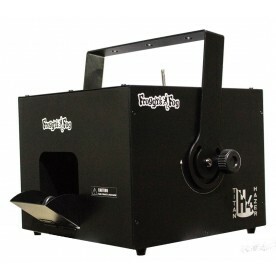 The H2 is perfect for any small club or venue that needs a quiet, super efficient haze machine. Now more distracting buzz or hum. The H2 generates less noise than the common household refrigerator. With a heat up time of under a minute, the H2 is ready to produce 4000 cubic feet of haze per minute with an uninterrupted continuous output. No more waiting around, you can easily and quickly fill your room in under 2 minutes. The H2 weighs in at just under 17lbs and has a small footprint of just over 1 cubic foot. The hanging bracket allows for every possible placement from mounted to under a table. The fan and haze output can be simply controlled with the control knobs. The H2 Titan hazer also comes with a wireless keyfob remote and allows for complete control for any situation. SIZE 13.3 x 12.4 x 11 in.